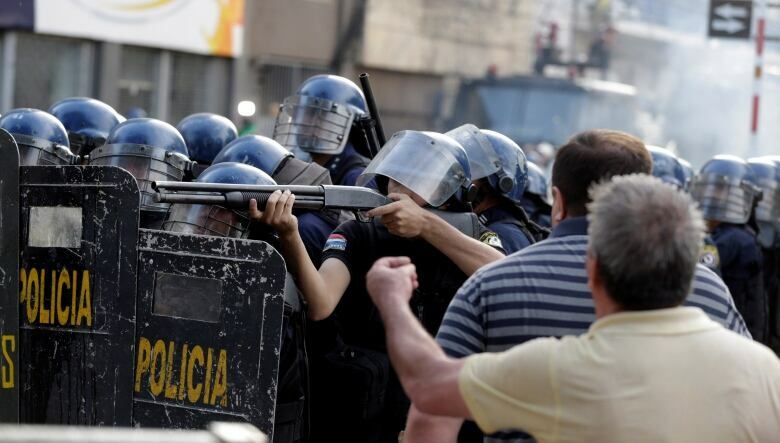 Paraguay's president has fired the country's interior minister and top police official after the killing of young opposition party leader — a death that came amid violent clashes overnight sparked by a secret Senate vote for a constitutional amendment to allow presidential re-election. President Horacio Cartes said Saturday that Interior Minister Tadeo Rojas and National Police Chief Crispulo Sotelo had been let go. Rodrigo Quintana, 25, was killed at the headquarters of a liberal youth activist group, a different location than the congress building where most of the violence took place. 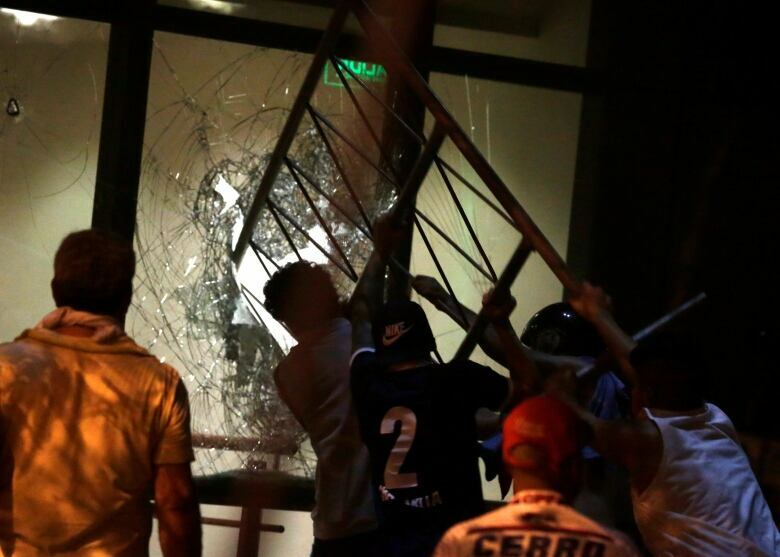 Demonstrators set fires around the legislative building after the vote to allow Cartes to run again in a country haunted by the 35-year rule of Gen. Alfredo Stroessner. 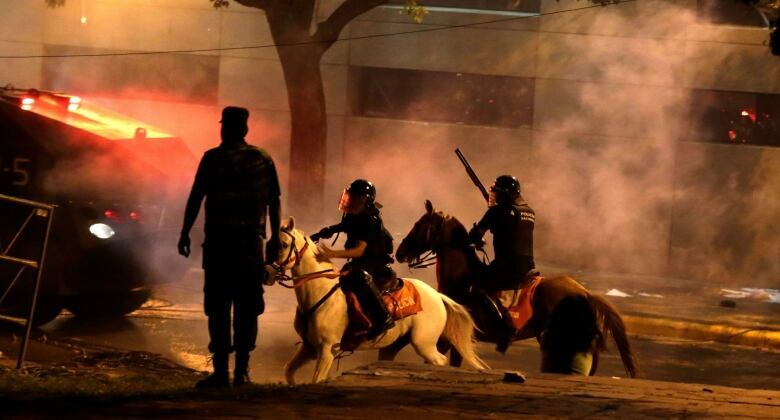 As the violent clashes erupted, dozens of people, including a police officer, were arrested Friday evening. Police used water cannon and fired rubber bullets to drive demonstrators away from the building while firefighters extinguished blazes inside. 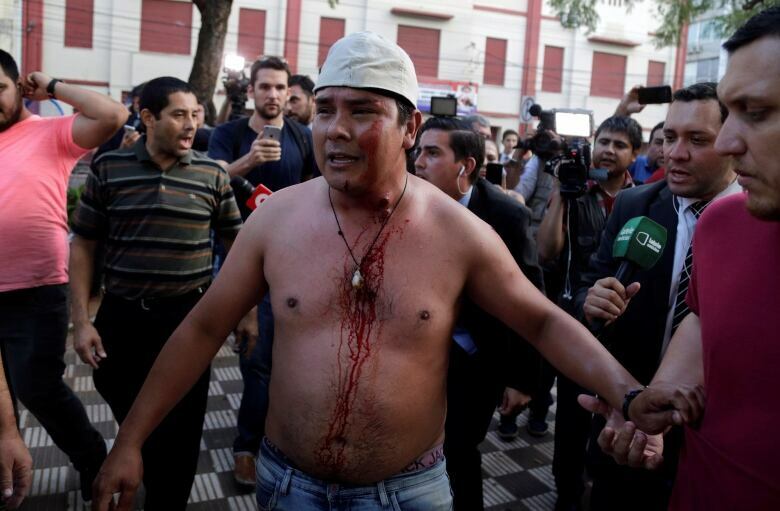 The protests broke out after a majority of Paraguayan senators approved the constitutional amendment allowing for presidential re-election. Some opposition members said the move was illegal because the vote was taken without all members of the senate present. The proposal would allow Cartes and Paraguay's previous presidents to run for the top job again in the 2018 election. Presidents are now limited to a single five-year term. "My colleagues have carried out a coup because of the irregular and illegal manner in which they modified no less than the Constitution," Sen. Luis Alberto Wagner of the opposition Authentic Radical Liberal Party said after the Friday evening vote. The process to pass the amendment began on Tuesday when 25 senators changed the internal procedures to speed up the vote against the wishes of Senate President Roberto Acevedo and other members of the chamber. Acevedo, of the Authentic Radical Liberal Party, said that process violated Senate rules and he filed an appeal to the Supreme Court seeking to have the decision overturned. 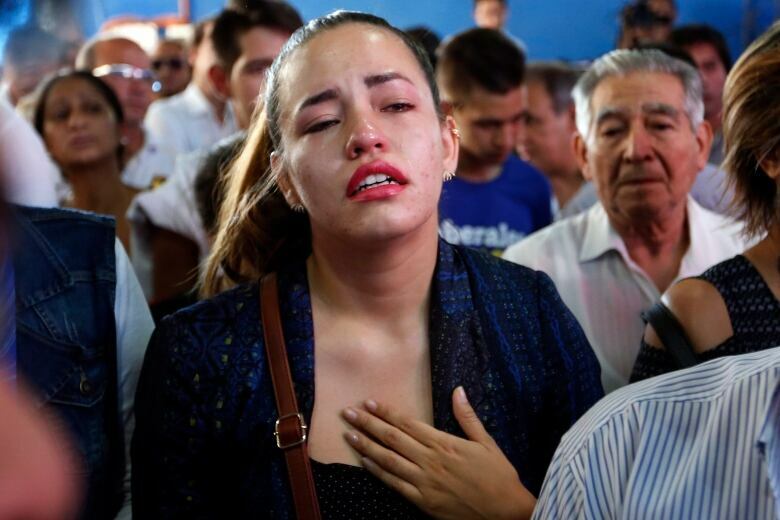 Political analyst Ignacio Martinez said the extreme reaction to the move likely lies in fears of another long-running government like that of Stroessner, who ruled Paraguay from 1954-1989 after a military coup. The measure for a constitutional amendment allowing for presidential re-election was backed by 25 of the country's 45 senators. The yes votes came from members of the governing Colorado Party and from several opposition groups. After approval in the Senate, the proposal went to the Chamber of Deputies, where 44 of the 80 members belong to the Colorado Party. Approval there would require the scheduling of a national referendum on the amendment.